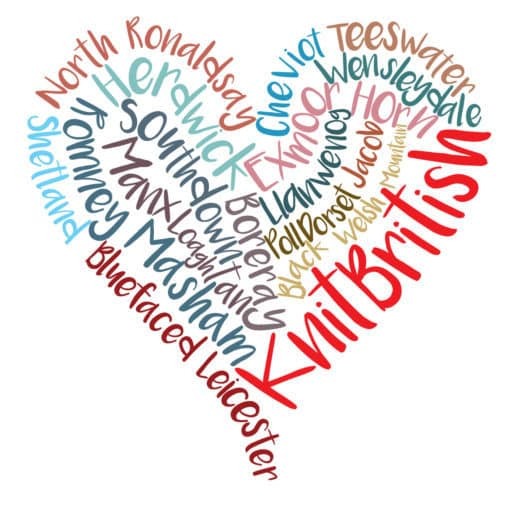 There have been a lot of suggestions and showing off of yarns in the KnitBritish ravelry group of the yarns being used in the Scollayalong, which casts on on the 17th July. I wanted to share with you some of my personal yarn favourite British yarns. 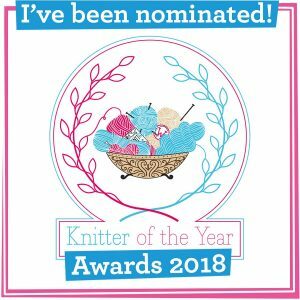 It isn’t mandatory that you knit your Scollay in British wool for this KAL, but there will be a prize at the end of the KAL for a Scollay made in UK wool…just saying! 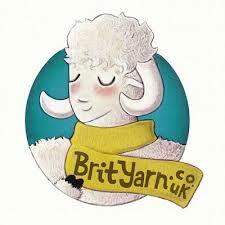 All of these yarns are ones which I have personally knit with and all are available from KnitBritish sponsor BritYarn! 100% Wensleydale wool from the heart of Yorkshire, this is a really delightful yarn! I used this yarn for my Lush cardigan and really loved the stitch definition. The knitted fabric has a soft halo and gorgeous lustre and the best bit is that I find it hardly pills! 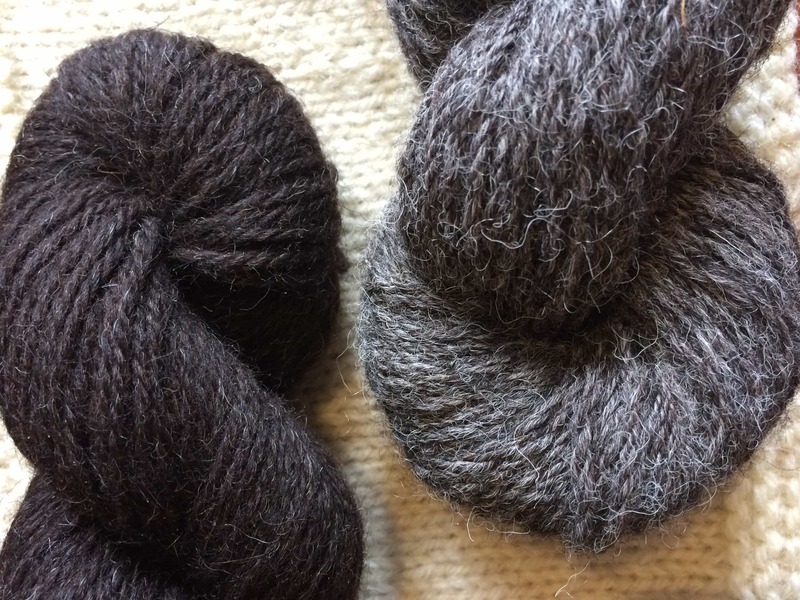 Wensleydale wool has a slight crisp hand-squish-grab, but feel of the knitted fabric is quite soft – everyone who saw my lush at EYF were pleasantly surprised that while it looked rustic it was soft next to the skin. BFL is a truly classic British breed wool for hand-knitting. It is available in natural colours, as well as 7 gorgeous dyed shades and you will find this a soft, bouncy and a really strong yarn. Cashmere-soft against your skin there is a little lustre on this too. I have knit a lot of items in this yarn including a baby lush and a nursery pillow – texture just works so well in this yarn. I adored reviewing this yarn last year and I always envisioned knitting a sweater in it. Ramsdale is 100% wool made from a blend masham fleece and is available in 10 really fantastic colours. It is a single ply yarn and so makes a slightly different looking knitted fabric than the other yarns mentioned here. With a slight fuzzy halo it is incredibly tactile and again the colours, all named after Yorkshire towns, are really delicious. A budget friendly yarn too. Aire Valley is a workhorse of a yarn that packs a mighty punch in its 100g/230m ball. This is a 75% British wool, 25% nylon blend, machine washable wonder. Fantastic for knitting garments that are a little easier to care for. I knit a Vivid blanket in this for my new-phew and its a cracking yarn, which seems to only bloom and get softer with each wash despite that little dash of man-made fibre. This yarn is also BritYarn’s yarn of the month for July! There is a great range of colours and lots of choice for your Scollay cardigans! It’s not too late to sign up. We will be casting on the KAL on Friday 17th July and we will be KAL-ing right up to 25th September. Which yarn are you going for yourself? I had planned on Hand-spun Jacob or Shetland but both of them are more Aran weight than DK. I have 2 lb. beautiful gray Gotland and lots of NZ Romney waiting to be spun into DK. Got to make up my mind today and get cracking as July 17 is closing in!!. the grey yarn photo in your Blacker Westcountry Tweed video seems darker than the one you can purchase today. 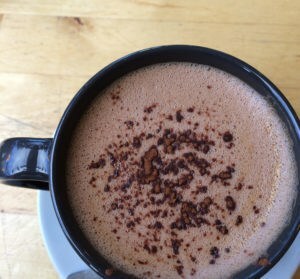 is it just the photo. or from another batch. curious. while i am deciding. thank you. it looks really good in “not very good light”. Previous Posthapalong prizes: THERE’S MORE!